President Barack Obama boasted last week that his administration forced Iran to accept an eight-year delay in the lifting of ballistic missile sanctions, when Iran wanted those restrictions canceled immediately. (Never mind that Iran made the demand at the last minute, raising a “non-nuclear” issue of the sort Obama says the U.S. could not make with regard to American captives.) Now, Obama’s brag turns out to have been a lie. There are no effective ballistic missile restrictions in the deal: Iran is merely “called upon” to refrain, voluntarily, from such technology. Iran is called upon not to undertake any activity related to ballistic missiles designed to be capable of delivering nuclear weapons, including launches using such ballistic missile technology, until the date eight years after the JCPOA Adoption Day or until the date on which the IAEA submits a report confirming the Broader Conclusion, whichever is earlier. But what I said to our negotiators was, given that Iran has breached trust and the uncertainty of our allies in the region about Iran’s activities, let’s press for a longer extension of the arms embargo and the ballistic missile prohibitions. And we got that. 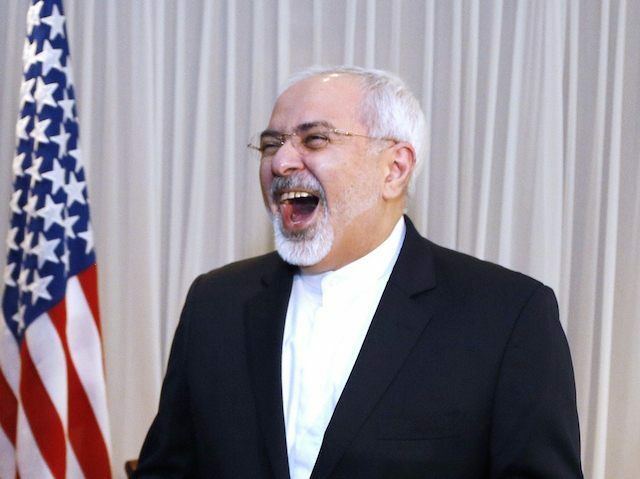 We got five years in which, under this new agreement, arms coming in and out of Iran are prohibited, and we got eight years for the respective ballistic missiles. Yet since the deal was passed, Iranian leaders have claimed that it agreed to no restrictions on ballistic missiles, or that the UN Security Council resolution did not apply to its missile programs, since they are ostensibly not related to nuclear weapons. As ridiculous as that sounds, it is closer to the truth than what President Obama has been telling the American people and the world.